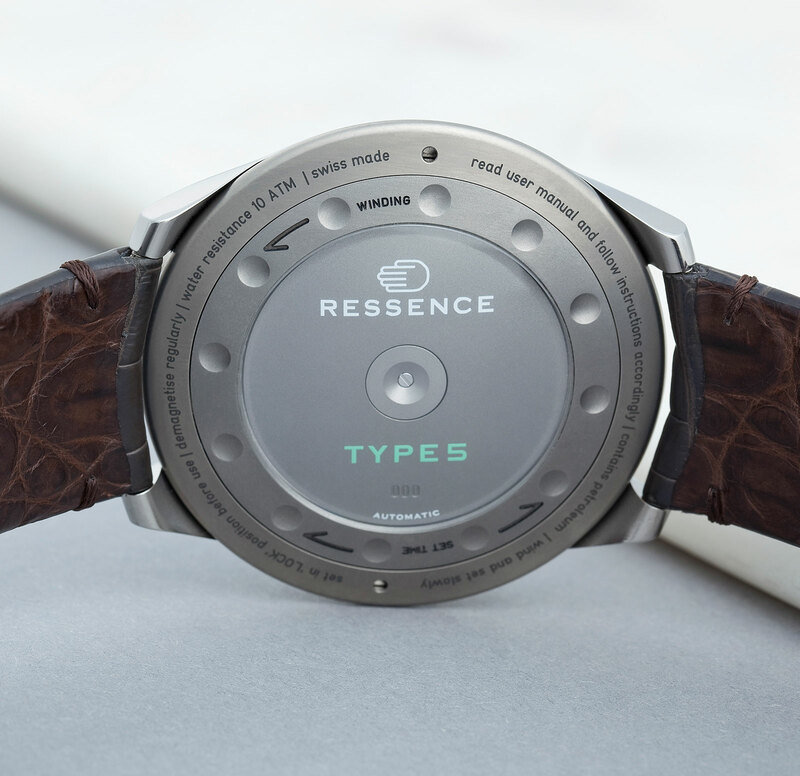 First introduced in titanium with a black dial, then in a functional black-on-black guise, the Ressence dive watch is now given a restrained palette with the Type 5G that matches the face and the watch case, in keeping with the minimalist approach of the Belgian watchmaker. 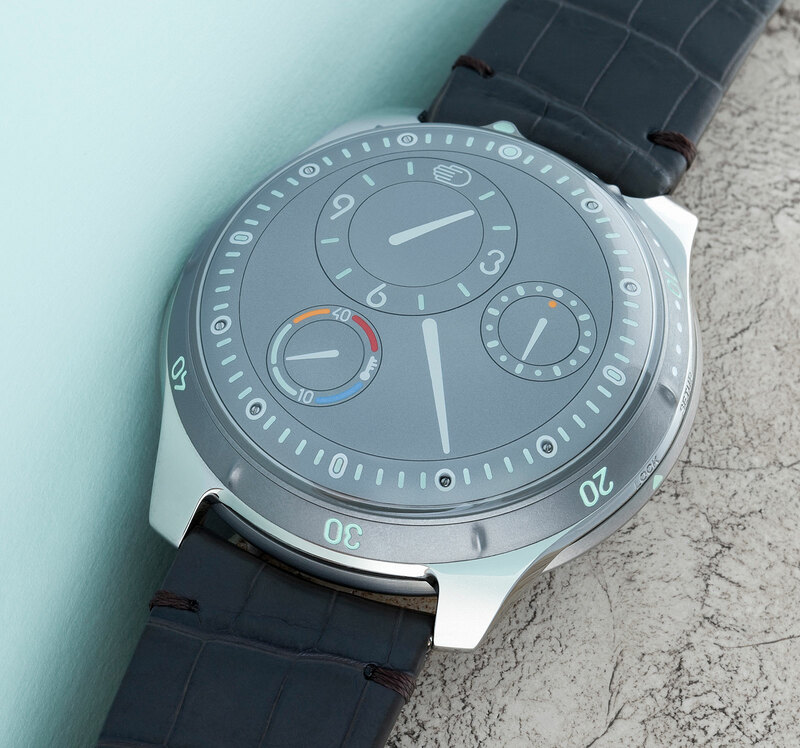 The dials and bezel of the Type 5G are in sandblasted titanium, just like the watch case, though with a different grain, resulting in a slightly different colour. 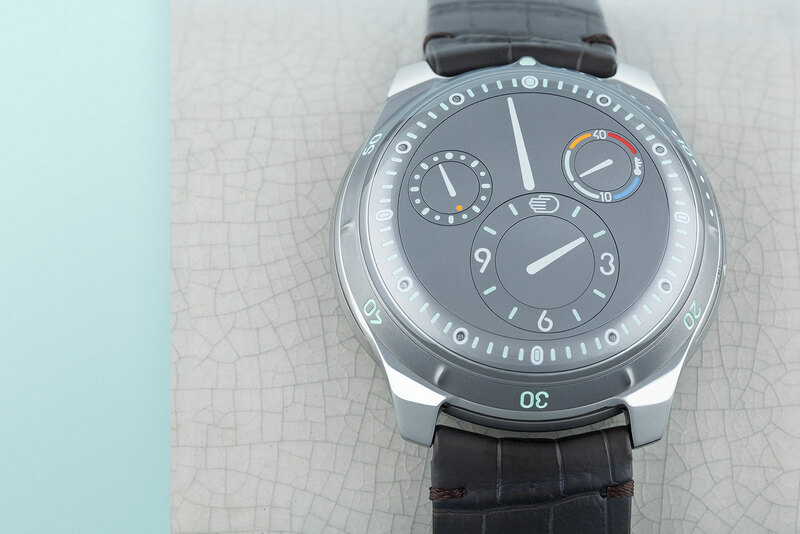 That aside, the Type 5G is identical to the other versions of the diver. Rated to 100m, the case is 46mm in diameter, without a crown; winding and setting are done via the rotatable case back. Inside is where it gets interesting. 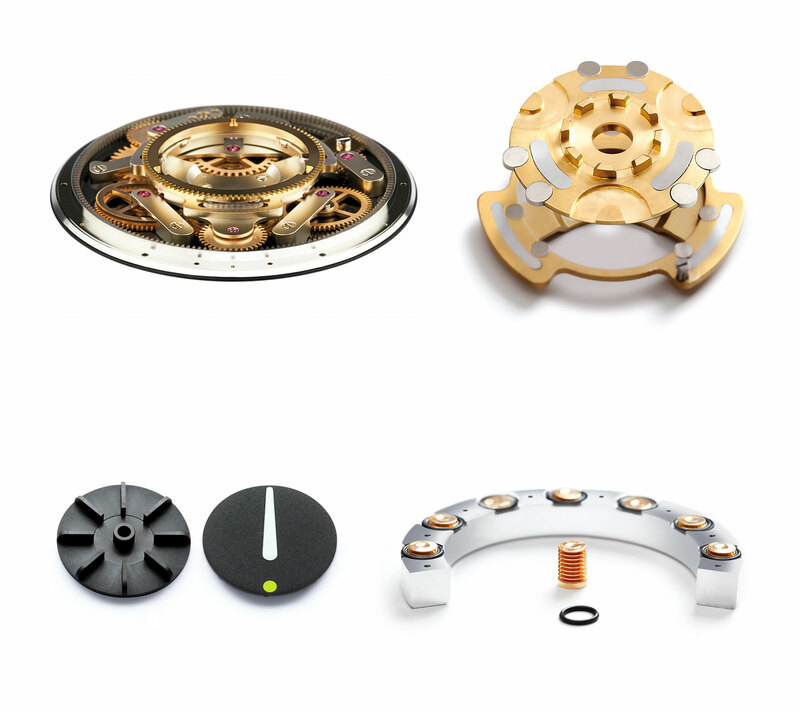 In the lower module of the case sits a customised ETA 2824 movement, which drives the time display via magnets. The time display module is physically separate, being a sealed capsule that contains oil. 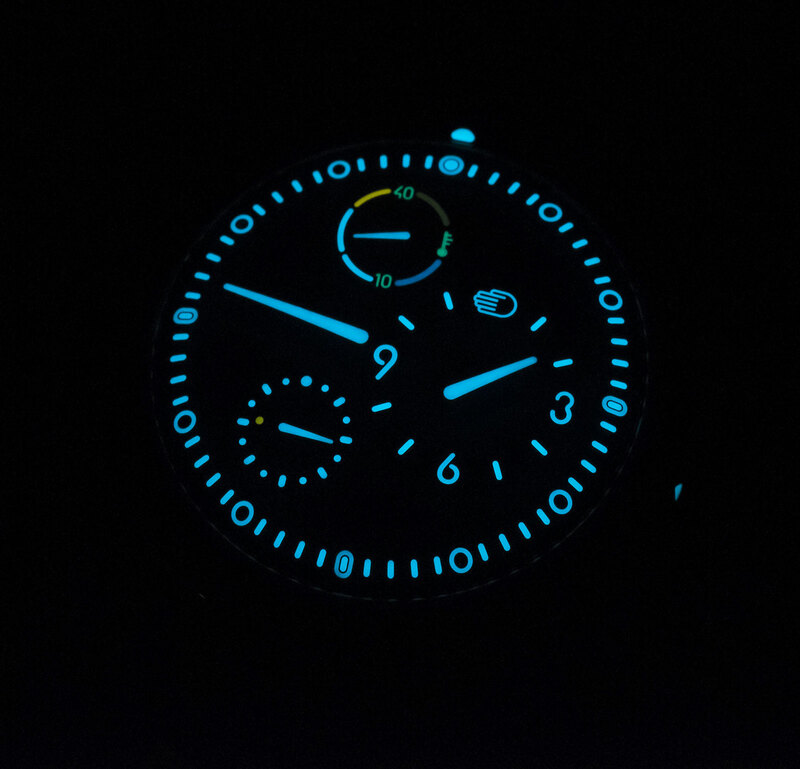 This results in the optical effect of the dial appearing to be printed on the underside of the crystal, while also boosting mechanical performance of the watch by reducing the friction during function. 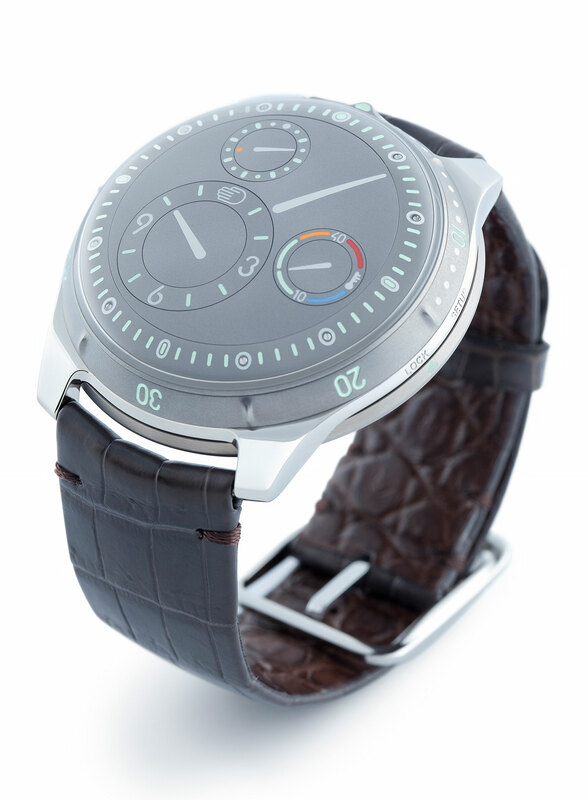 And the oil is also incompressible, improving the water-resistance of the watch. A tiny bellows system inside the oil-filled module compensates for changes in the volume of oil due to ambient temperature. 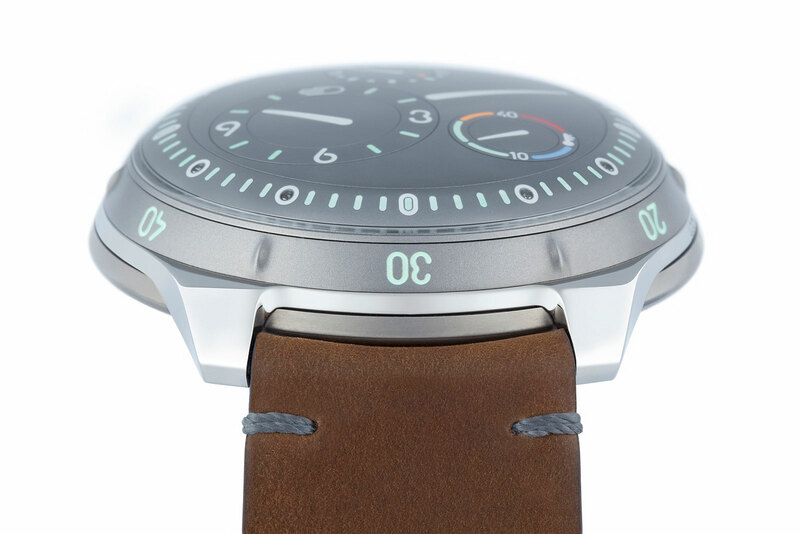 The temperature of the watch is indicated on a sub-dial on the front, with pale green being the optimum temperature range. 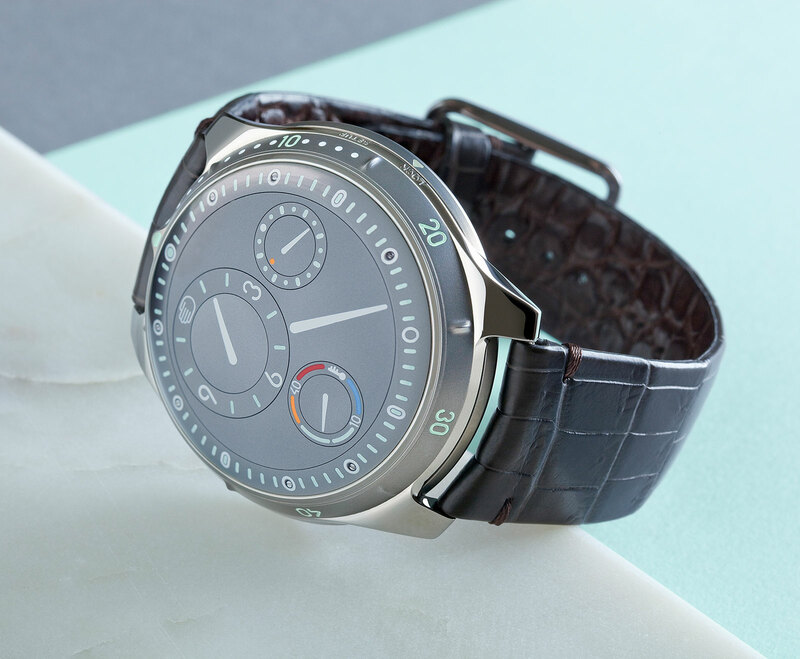 The Type 5G is priced at US$35,800 or €31,500. Decorated in white mother of pearl on both sides, the ladies' tourbillon features an automatic movement with tourbillon and seven-day power reserve. A titanium pocket watch with a miniature dynamo that lights up the liquid time display.